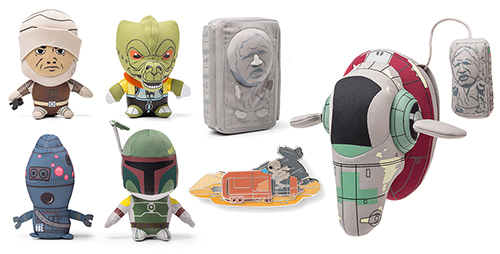 ThinkGeek has released info for their SDCC exclusive items which includes a set of 4 bounty hunters ($30), a Han Solo in Carbonite ($12) and a Slave I with Han in Carbonite $12 and finally a Rey with Speeder pin which is FREE with a $60 purchase. ThinkGeek has announced their exclusive life size BB-8 plush figure. This Life Size BB-8 Plush promises not to go on its merry way before you get a hug in. That’s because it has no motor inside. Just stuffin’. Did we mention it’s 2 feet tall? It’s weighted so the head stays mostly upright. 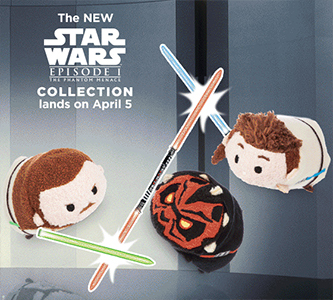 Because nobody wants an upside-down droid, even a plush one. Funko has announced 3 new Fabrikations figures for their soft-sculpt Star Wars line. 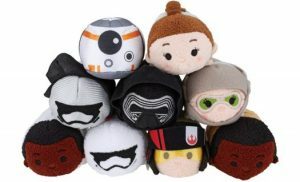 Click on through to check out Princess Leia, Stormtrooper and Wicket! 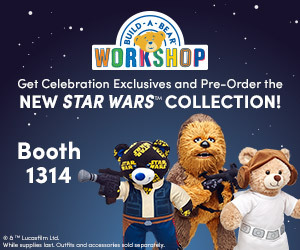 Judging by this ad I noticed on the StarWarsCelebration site, Build-A-Bear looks to be offering Celebration exclusives as well as an opportunity to pre-order the next collection of Star Wars-themed Build-A-Bears. Check them out at Booth 1314. Underground Toys is the latest manufacturer to announce an exclusive for Star Wars Celebration. Check out the press release for the Electronic Max Rebo. 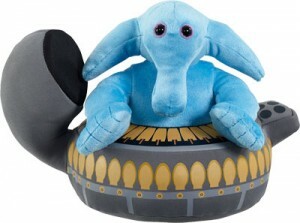 At the push of a button, the Max Rebo plush will play extracts from Lapti Nek; as featured in the Jabba’s palace scene from the original Return of the Jedi movie. Max Rebo is the latest addition to the expanding fan favorite range which includes the Wampa, Tauntaun and Jabba the Hutt, amongst others. These specialty characters sit alongside the more familiar core line up of Yoda, Chewbacca, Darth Vader and R2-D2. To celebrate the blue elephantine keyboardist joining the range, Underground Toys have launched a special edition for Star Wars Celebration 2015. 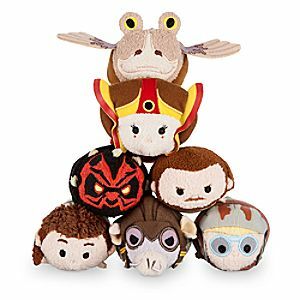 The special edition, measuring in at 6 inches, will have ‘Star Wars Celebration, Anaheim 2015’ embroidered on the products’ base. Thanks to Coffee with Kenobi for the heads up. 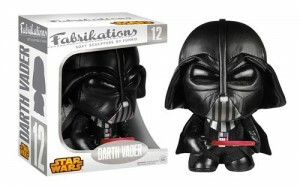 Entertainment Earth has updated with some new Funko Fabrikations figures today and amongst the listings is Dark Lord of the Plush – Darth Vader. Like other Fabrikations figures, it features a rotating head and stands over 6″ tall. Thanks to VinylmationWorld for the heads-up. DisneyStore.com is offering 30% off select Star Wars merchandise that includes, plush, die cast, talking figures, clothing and more. Click on through to check out some last minute holiday gift ideas.